2017 Dacia Sandero 1.0 SCe 75 review | What Car? 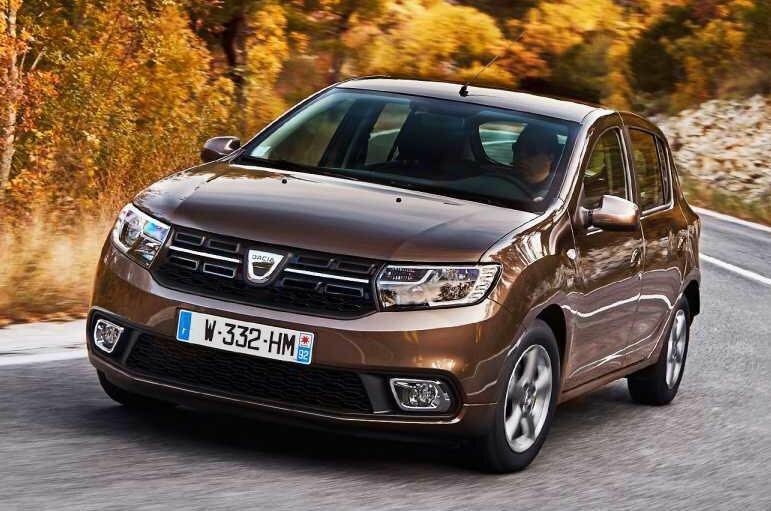 New cars in the UK don’t come any cheaper than the Dacia Sandero. Such a jaw dropping price tag (£5995 for the entry-level model) might make you think it's more of a novelty than a legitimate new car prospect, but the Sandero has been proving people wrong since its launch in 2013. This five-door hatchback is so recommendable, in fact, that it’s been our favourite budget small car for four years running, proving it offers more than just a small purchase price. For starters, it's one of the most practical cars in its class, but of course there are drawbacks – there have to be given how cheap it is – with previous models being sparsely equipped and forgettable to drive. For 2017, though, the Sandero has been given a facelift which brings a refreshed design for the front and rear, including LED daytime running lights, plus more equipment inside and a new engine, all without incurring a price rise. So, is this enough to help it see off its closest rival, the new Ford Ka+, and smaller city cars such as the Skoda Citigo. 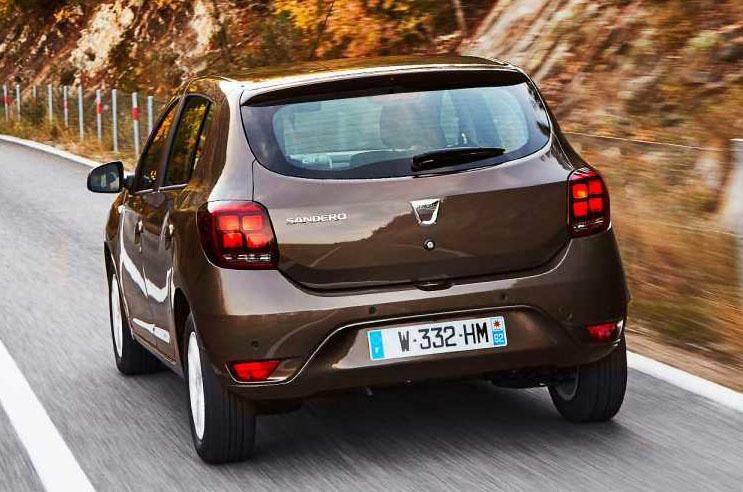 What’s the 2017 Dacia Sandero like to drive? The new engine is the most significant change, and this was fitted to our test car. Now the cheapest in the line-up, it joins the more powerful turbocharged 0.9-litre petrol and the 1.5-litre diesel. Plus, it's a bit quicker and more fuel efficient than the 1.2-litre engine it replaces. The car we drove was in range-topping Laureate trim, but in the UK the 1.0-litre engine will be available only with Access and Ambiance. It feels a lot more spritely around town than the old 1.2, and the improvement in fuel economy that it brings is significant enough to make it competitive with the Ka+. However, it's also like the Ka+ in that it need to be revved hard to get up to motorway speeds, at which point it becomes quite loud and isn't especially smooth. True, it does settle down again once you're up to speed, but wind and road noise are intrusive at higher speeds, so the Sandero isn't a relaxing car to cover long distances in. 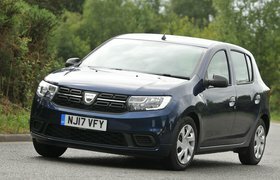 Officially, the new engine is the only mechanical change, but we'd bet good money that Dacia's engineers have actually been busier than they say, because the ride now feels much more settled and forgiving. Even the steering feels more precise, although if you're looking for a cheap car that's fun to drive, the ka+ is still a better option. 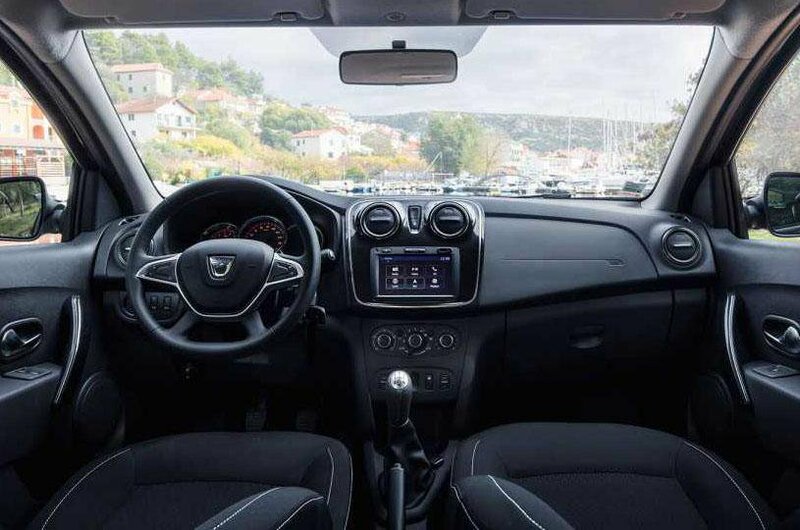 What’s the 2017 Dacia Sandero like inside? Base-level Access trim – the one with the eye-catching £5,995 price – comes with very little equiment and is best avoided, but as part of the spec upgrades, a DAB radio and air-con come as standard from mid-level Ambiance (£6995), while range-topping Laureate models (£8995) get cruise control and a touchscreen infotainment system with sat-nav. In addition, all Sanderos now have slightly smarter and better finished interiors. In particular, the steering wheel is much nicer to hold than it was before. You’ll also find few small cars that offer as much space as the Sandero, even if you're prepared to spend thousands more. Its tall body means there’s plenty of head room, while leg room is also impressive; this is a supermini that can genunely seat four adults in comfort. The boot is a fine size and will fit a couple of suitcases, although there is a rather large loading lip which means it will require a bit of effort to lift things into and out of it.